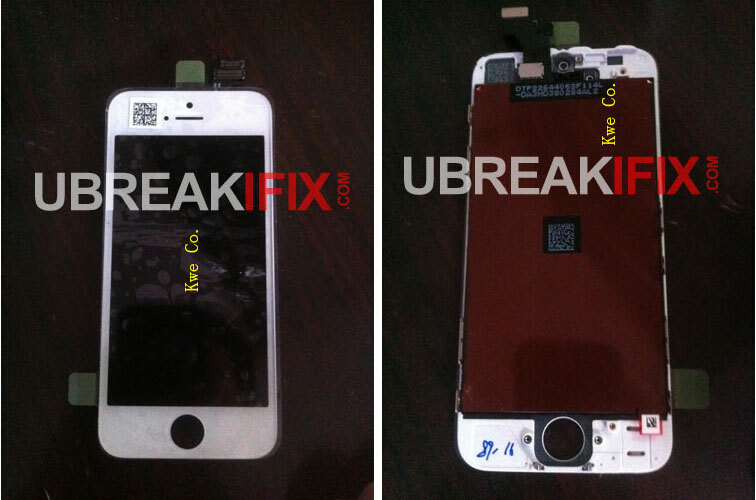 According to website uBreakiFix.com, the next iPhone (iPhone 5 or “The New iPhone”?) will have a 4″ display and 16:9 aspect ratio. If you compare to the competitors, 4″ isn’t huge, but it is still a noticeable difference compared to the existing 3.5″ displays on the iPhones up until now. Personally, I think 4″ would be nice, I don’t want the display to be too big as it would just make the phone even bigger and harder to use with one hand. the key for me is that the new iphone will fit into my top pocket , keeping the iphone in my back pocket would cause damage if i sat on it . am glad for this blog. it seems that everybody is waiting for iphone5 to be realeased and their is rumos of all the applcations as well as feature that it expected to have. however, in my opinion, i think we should wait for it to be realised first so that we can comment on it when knowing what it has. It seems to be pretty cool! I am looking for the next keynote, I hope that the new model will be announced! A bigger display with higher resolution would be great! It is not so long left to wait. Several weeks and we will find out all the hidden spec of new iPhone. I’m not sure if its the Tim Cook vs Steve Job issue but this iPhone 5 release has nothing spectacular. Every single bit had been predicted and all the external shots etc were all leaked months ahead. One month ahead, I had also posted on the supposed rumours and photos,, and it all turned out to be true http://www.gadgetreactor.com/2012/08/iphone-5-launch-release-news-in-singapore-singtel-starhub-m1.html. Not sure if it was done on purpose though as a marketing ploy. Perhaps to draw attention away from the Android powerhouses. Anyway, the iPhone 5 is really an evolution to the iPhone 4S, a thinner and lighter phone with more refined features. It’s really big news to lunching a new iPhone 5 to have 4″ 16:9 display. It’s compare to iPhone 4 light to carry and also a huge response to iPhone 5 . Apple has finally moved from the 4:3 aspect ratio to 16:9 , I think this new space will simply be used for another row of icons on the home screen. Rabia Akram recently posted… HTC Titan II: Is this another success for HTC? Now that it’s already available to all of us. I managed to upgrade mine, the iPhone is indeed better, in terms of processor, and better display. However, iPhone 4 or 4S work great too, not too much different. Al recently posted… Samsung Series 9 NP900X3D-A01US 13.3-Inch Premium Ultrabook (Silver) Trackpad? Next post: iPad Mini (7.85″) to be produced in September and ready Oct/Nov?